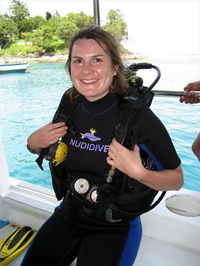 From the Dive Center located in the heart of Patong (the entertainment hub), we can organize your dives to any of the destinations around Phuket, Phi Phi and the Similan Islands. 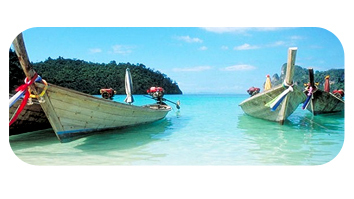 We organize all your diving and holiday needs including accommodation and travel advice. 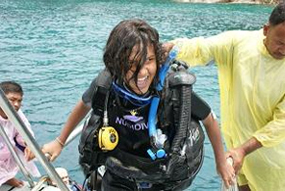 Specializing in PADI Diving Courses for the beginner like ‘Discover Scuba Diving’ to professional certifications. 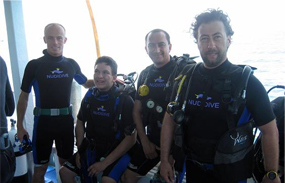 For your diving courses we guarantee you will have an instructor that speaks your language, and all instructional materials- books, videos, etc.- will be in your mother tongue. Our philosophy is that you are on holiday, and we want to be part of an unforgettable experience by making everything as easy for you as humanly possible!